We admit it. The 18 gauge bradder is the most "go-to" nailer on your bench or in your tool box. But just try to find a decent one these days. Presenting the Green Buddy™, a game changer in a very serious game. 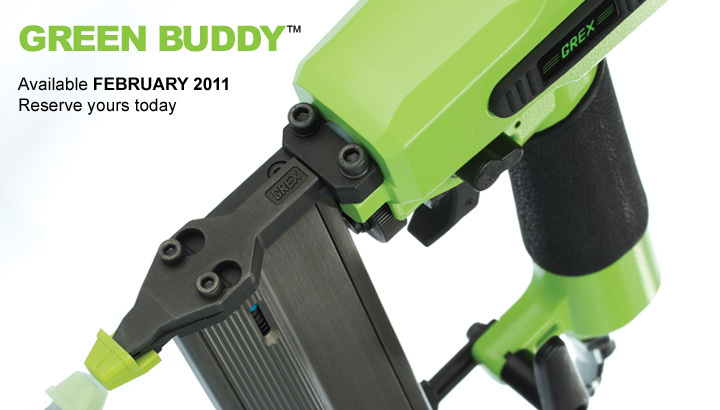 From trim carpenter to cabinet maker, Green Buddy™ will be the differentiator as you master your trade. It’s the solution if you’re looking for control, precision, performance and dependability. In the pursuit of excellence, we've done our part - from designing to constructing the Green Buddy™. Now explore.